ELIZABETHTOWN — A local nonprofit is fretting over the loss of a home mortgage prevention program that has spared dozens of county residents from losing their homes in the past half-decade. The Housing Assistance Program of Essex County (HAPEC) provides counselors and legal service providers to help families stay in their homes, including vulnerable senior citizens. But the $30 million state funding stream for the program is scheduled to expire on Sept. 30, 2017, and has not been included in the state budget. The loss will have a direct impact on county residents, said Michelle Bashaw, a service provider with HAPEC. Since the beginning of the housing crisis in 2008, Clinton County averaged 100 foreclosure proceedings per year; Essex County, 80. Bashaw, who started in 2013, assisted 76 of those households, about half of whom were able to keep their homes through a loan modification (an additional six were able to be reinstated through the use of mortgage assistance program funds). New requests arrive almost daily and it will take at least two years to resolve the existing caseload. “We still feel there is a great need for that service,” Bashaw said. 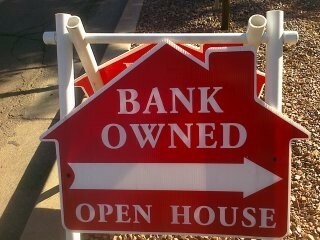 When people come to her, they are already usually in default or foreclosure. The funding allows Bashaw to guide clients through the rocky foreclosure process, and steer them to resources that may allow them to stay in their homes, including working out payment plans with banks and other mortgage holders. Bashaw estimates about half of her clients receive the outcome they would like. But if they do not, she helps them navigate a “soft landing” during the transition process. Another state program on the chopping block is a mortgage assistance program that provides funds for loan reinstatement. “Without me, the funds in that program are not available to borrowers,” Bashaw said. Bashaw said it’s in the best interest of all stakeholders to keep homes occupied. Doing so helps avoid a depressed housing market, preserves credit for homeowners and allows for better maintenance of the housing stock. As part of the run-up to the state budget deadline on March 31, HAPEC and the statewide Foreclosure Prevention Services Network have launched an awareness campaign and will lobby state lawmakers, including the North Country’s delegation, to reinstate the funds. The state legislature last year signed into a law a series of comprehensive reforms governing foreclosures and these funds are necessary to implement those policies, says the organization. As part of the reforms, the state Department of Financial Services has inked a Consumer Bill of Rights and now requires banks and mortgage servicers to report and maintain vacant and abandoned properties. The legislation signed last June also expedites foreclosure proceedings, improves the “efficiency and integrity” of the mandatory settlement conferences and forces banks and mortgage servicers to “secure, protect and maintain” vacant and abandoned properties before and during foreclosure proceedings. But communities still require help mitigating zombie properties, said the FPSN. Foreclosure filings are still critically high across the state, with some 34,000 new filings statewide in 2016 for a total of nearly 72,000 pending cases in the state’s Supreme Court system — some 26 percent of the total caseload.